Products Comments Off on Bigfoot Pajamas! Finally, something for people who love to sleep and love bigfoots at the same time! Bigfoot pajamas! The fantastic thing about these pajamas is that you can wear them whether you are mostly nocturnal, like sasquatches, or diurnal, like most people. Click this link to check them out on Amazon, and to zoom in closely to the bigfoots. They’re adorable. Legal disclosure: I will get a very small commission on these if you buy them. I wouldn’t even bother if they weren’t squatchtastically adorable, though. Casts donated by Cliff Barackman are on display in the Paranormal Outlet. The Paranormal Outlet is New York’s one and only Paranormal Outlet. 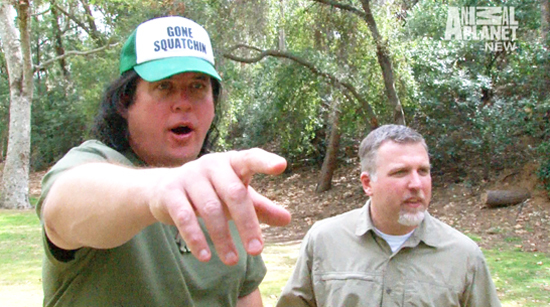 It is a place for the Paranormal Investigator, Ghost Hunter, Bigfoot enthusiast and Spiritualist. We aren’t just a store of gadgets, we are a hub for All Things Paranormal! Come browse, shop and learn. Sign up for lectures and more…. As the business continues to grow, they will offer not only paranormal-themed merchandise, but will host special events including guest speakers from far flung corners of the globe, and overnight ghost hunting trips to creepy places. For more about their upcoming events, click this link. I look forward to seeing this store grow in the coming years. To help them along, I donated two casts to them, which are on display in the store. Please drop the store and check it out. Send me photos from the store, and please tell them I sent you! Click here for a media story on the opening. I must be a nerd, because I love stuff like this. I had a similar lunchbox in elementary school, but it had a Scooby-Doo design. 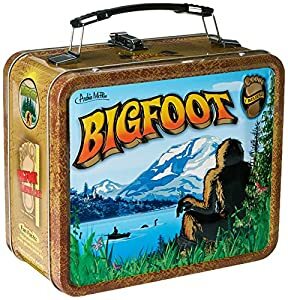 Nowadays, I can’t think of a better design than to have a bigfoot metal lunchbox. Whether it’s for you, or a student who brings a lunch to school every day, perhaps this item could be a squatchy addition to what would be a normally bigfoot-free lunch. There are several ways to come to believe that sasquatches are real. Of course, the fastest way is to see one with your own eyes. Another way, though long and labor-intensive, is to become well educated on the subject, its history, and the available evidence. Another way, one that is the “lazy-person’s-quick-and-easy-way” would be to drink beer until you believe. This might be one of the more fun ways as well. If the latter of the above methods is the one that most appeals to you, there is a product that guides you to your goal, whether it be believing in bigfoot or drinking a lot of beer. Pictured above is the Drink ‘Till You Believe Engraved Beer Glass, complete with permanently etched markings to let you know where you are on the “I believe” gradient. Drink a little and you stay a skeptic. A bit more leads you to the “on the fence” mark. Towards the end of your glass, you believe. Finally, when you finish the delicious beverage, you actually see one (or so it says at the bottom of the glass, like the happy face on the bottom of a child’s oatmeal bowl). You probably know a beer-loving bigfooter. We can be notoriously difficult to buy for, being the eccentric folk we are. This gift might be just what they’ve always wanted but didn’t know existed. Click here or on the picture above to order one right now! 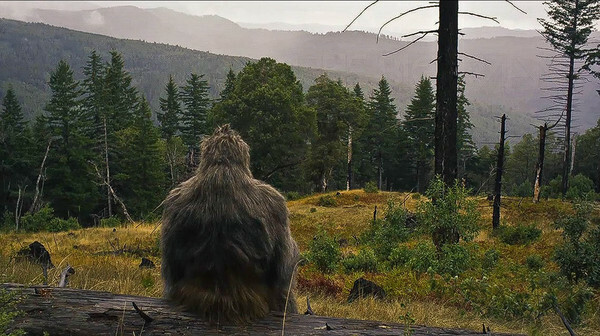 For whatever it’s worth, though I love beer, I strongly recommend that you become a bigfoot believer through the method of become well-educated in the subject, its history, and the available evidence. You can still enjoy a beer while reading bigfoot books, though! Disclaimer: This page was made possible by a partnership from Amazon Associates who grants me a small commission on what you buy through the links. But, all opinions and reviews are my own, and these products wouldn’t be featured if I didn’t think it could help you be a better (and more fun) bigfooter and/or beer drinker. Being a fan of all things sasquatch, as well as cool gadgets and tools, I had to tell you all about this little gem. While I wouldn’t want this to be my only multi tool in a survival situation (I prefer a good bushcraft knife), it would serve you well in most other camping situations. D – 1″ Ruler. E – Flathead screwdriver. F – Phillips head screwdriver. Click the following link or the photo above to order your own Sasquatch Multi-Tool before you need it next! Products, Uncategorized Comments Off on Creatureplicas for Squatchmas! 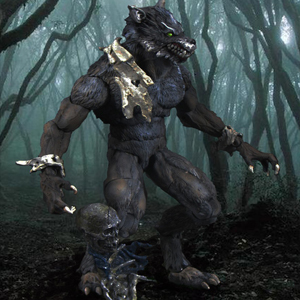 Making perfect Squatchmas gifts for the cryptozoologist in the family, Creatureplica‘s articulated action figures are now on sale for the holiday season. All models are priced $40 and under, and between now and Friday the shipping is FREE! This window of free shipping enables the gift to arrive safely by Squatchmas Eve. 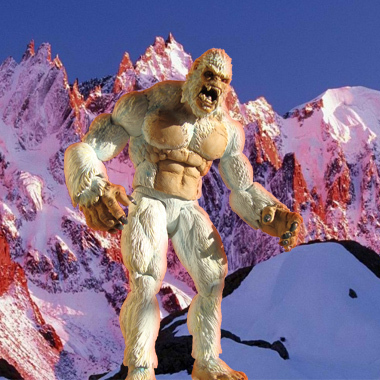 These sculpted masterpieces are by far the best bigfoot, yeti, sasquatch, & other(s) reproductions ever made! It’s a stretch to even refer to them as toys rather than art, but any kid under 90 years of age will love playing with them. To browse Creatureplica‘s selection and order today, check out their website by clicking here. I have seen these creations sell for much higher prices than these (but never with free shipping), so don’t wait too long to order yours. To see more models, click this link! 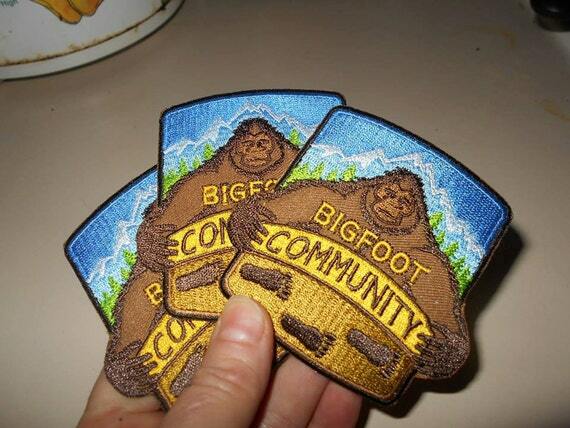 The good folks over at the Bigfoot Community Facebook page have a number of pretty cool patches available for sale. 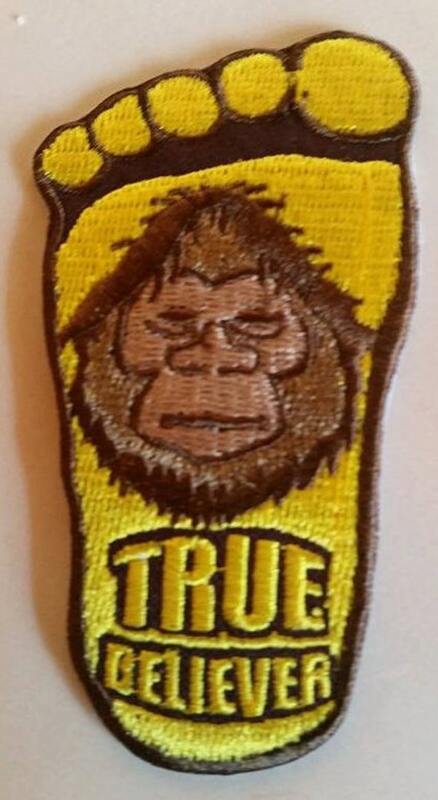 Any one of the six available designs sewn onto your clothing or hat would set you aside in a crowd, unless that crowd all belonged to the Bigfoot Community! Check out all the designs by clicking this link, and pick one up for yourself!